Two small investments Warren Buffett made more than two decades ago can teach us all something about how we should view our money. Each year, investors anxiously await the annual report from Berkshire Hathaway (NYSE: BRK-A ) (NYSE: BRK-B ) , which contains a letter from Warren Buffett that contains indispensable insight into the decisions he’s made both over the last year and his entire life. While his letter for 2013 has yet to be released in its entirety, Fortune Magazine recently obtained an excerpt where Buffett outlines how two small real estate investments he made more than 20 years ago forever shaped his view on investing, but can prepare everyone for a future of success. Source: Richard Hurd on Flickr. Buffett describes his purchase of a 400-acre farm 50 miles north of Omaha, Neb., in 1986. Just a few years prior, farmland in Nebraska and the entire Midwest was booming, but a bursting of the bubble caused prices to decline rapidly. Buffett was able to buy the land for $280,000, which was “considerably less” than what a failed bank valued it a few years earlier. While Buffett notes he “knew nothing about operating a farm,” he enlisted the help of a son — who was an avid farmer himself — and the two estimated the return on the investment would be 10% annually. He then describes the purchase of a “small investment” — the price wasn’t mentioned — of a retail property in New York City that was next to New York University in 1993. He joined two other friends to buy the property following the collapse of the commercial real estate bubble and once again estimated he could earn about 10% each year. As typical with Buffett, he is somewhat muted on what he has actually made from the initial investments, but notes, “The farm has tripled its earnings and is worth five times or more what I paid,” and he now receives 35% of his initial investment in the real estate property annual in the form of distributions. First, Buffett says, “You don’t need to be an expert in order to achieve satisfactory investment returns,” and a recognition of personal limits while ensuring things are kept simple navigating along a “course certain to work reasonably well” is critical. Buffett continues by highlighting that he focuses on productivity, not price, which is a critical distinction. Often investors are lulled into thinking it’s only the price that matters, but prices are merely speculations of a value, whereas the productivity of a business is where the actual value is created. In all five points, Buffett highlights things that can be taught to all investors, both those in real estate and those preparing for retirement through the stock market. Investments are to be made in businesses that generate returns to their investors, not simply the names and numbers of stock tickers. While it is easy to be swayed by daily trends, long-term investments at reasonable prices are always a winning formula. And if that sounds too daunting or difficult, Buffett says a very low-cost index fund is a wonderful solution. Buffett concludes by reminding readers of his oft-repeated but immensely valuable advice he learned from his professor and mentor Ben Graham: “Price is what you pay; value is what you get,” which is something everyone must remember when making any investment. While its value is seemingly infinite, the price of Warren Buffett’s wisdom is thankfully free. 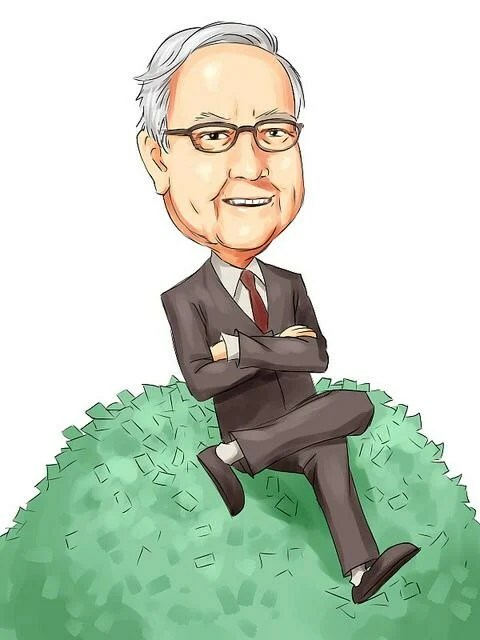 He is one of the greatest investors ever and through the years, Buffett has offered up investing tips to shareholders of Berkshire Hathaway worth billions. If you want more from Buffett, now you can tap into the best of his wisdom in a new special report from The Motley Fool. Click here now for a free copy of this invaluable report. Patrick Morris owns shares of Berkshire Hathaway. The Motley Fool recommends and owns shares of Berkshire Hathaway. Try any of our Foolish newsletter services free for 30 days. We Fools may not all hold the same opinions, but we all believe that considering a diverse range of insights makes us better investors. The Motley Fool has a disclosure policy. Posted on December 11, 2014, in Postings. Bookmark the permalink. Leave a comment.